Before they were married. Before they moved to Chicago, then back to Houston, then to New Jersey. Before he switched from cigarettes to a pipe. Before she told him she wanted children someday. Before any of us were thoughts, dust, molecules. They were just two people sitting on a couch wondering what might come next. you really look like your dad here. 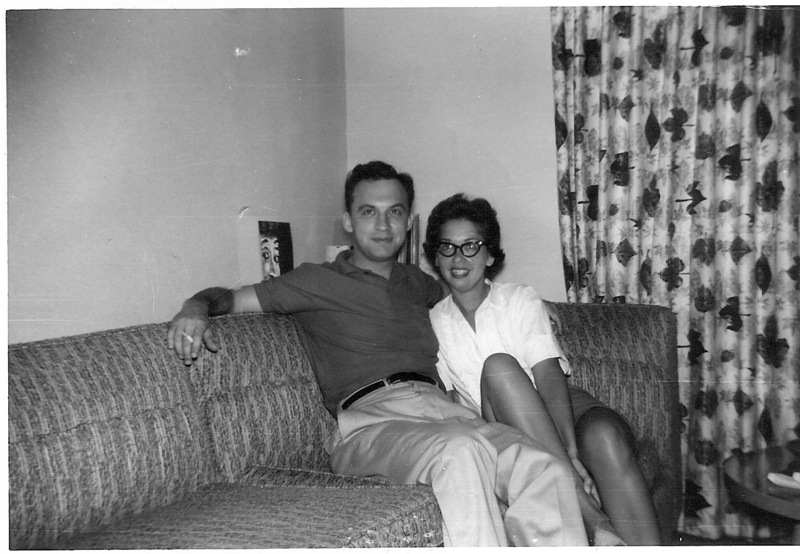 that’s a great picture of your parents…oh and a great blog post too.